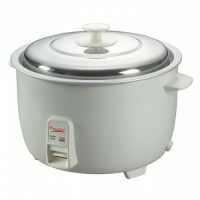 This prestige rice cooker has a capacity of 0.6 liter. It has two aluminium cooking with cool touch handles. 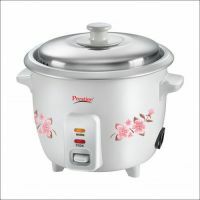 This rice cooker comes with entire menu which cook porridge, soup, stew, pulao, idlis, steam vegetables. To Recieve updates and possible rewards for Prestige Delight Electric PRWO 0.6 -2 please sign in. To Recieve updates and possible rewards for Electric Rice Cooker please sign in.